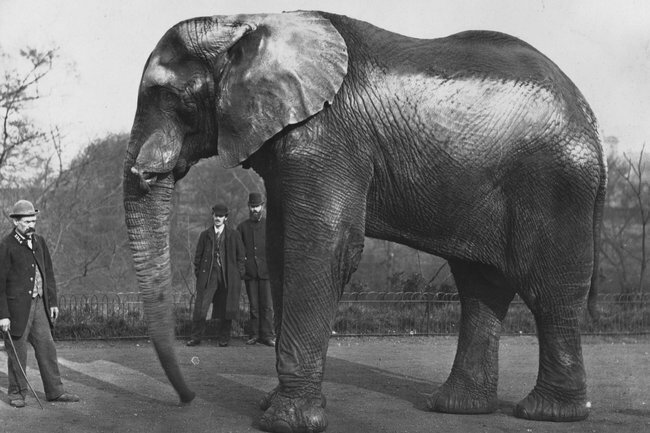 Jumbo the Elephant: The tragic story of the real Dumbo. 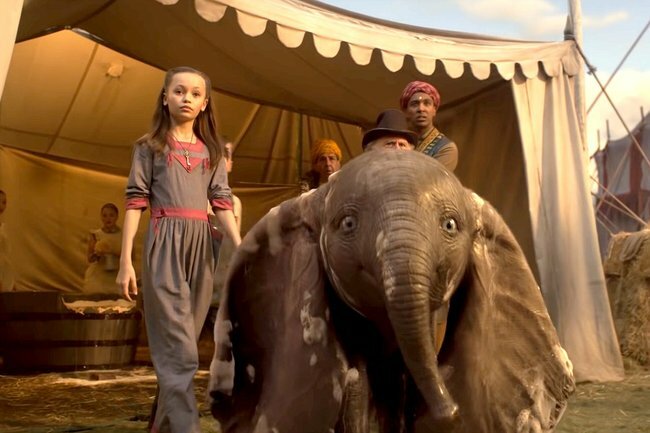 Disney’s animated original movie and live-action remake of Dumbo both have happy endings for their hero elephant. But the real-life elephant the beloved big-eared mammal was based on wasn’t so fortunate. After watching his mother killed in front of his eyes, years of being drugged with alcohol and subjected to stress, Jumbo the Elephant was killed by a train at just 24 years old. Dumbo can&apos;t possibly be as sad as the real story. Image: Disney. It was a tragic end to a sad life that was largely unknown by the public, until a 2017 David Attenborough documentary uncovered the truth about Jumbo&apos;s story. In Attenborough and the Giant Elephant, the 92-year-old naturalist and his team use Jumbo&apos;s skeleton, as well as historical records to piece together Jumbo&apos;s life and death. Jumbo was born in Sudan, Africa in 1860. As a calf, his mother was captured by ivory hunters and slaughtered in front of him. A short time later, he was sold to a Paris zoo. In 1865 he was transferred to London Zoo, where he was given the name Jumbo. And not because he was big - in fact, "jumbo" became a term for large because of the elephant. 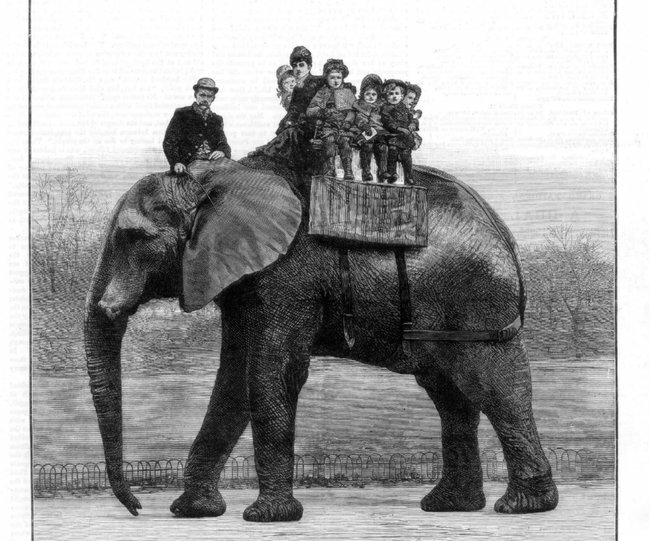 Jumbo was famous for his size - his eventual owner, PT Barnum, claimed he was the largest elephant in the world and was 13 feet tall (almost four metres). In actual fact, Attenborough found, he was 10"6 (3.2m) at the time of his death - still about 2ft (60cm) taller than average. He may have reached the height PT claimed if he hadn&apos;t died at such a young age for an elephant, which can live to about 70 years old. Jumbo was a hit with zoo visitors, who enjoyed riding on his back, throwing coins and small toys at him and feeding him treats. But what they didn&apos;t know was that all of these things were harming the zoo&apos;s star attraction. Attenborough and his team discovered through looking at Jumbo&apos;s bones that he suffered knee and hip issues - likely from all the rides he was forced to give. They also learned that coins and toys were found in the elephant&apos;s stomach upon his death. The team also theorised that Jumbo&apos;s poor diet could have contributed to rage issues that had zookeepers and later circus owners sedating him at night with large amounts of alcohol. While Jumbo was friendly during the daytime, at night he would stomp, ram and bellow at zookeepers, who feared for their safety, and destroy things in his pen. To calm him down, Jumbo was fed whisky and champagne. His rage attacks were thought to be part of a common condition among mating-aged male elephants that made them aggressive, called musth. But Attenborough&apos;s team suggested that looking at Jumbo&apos;s skull, he likely had intense and ongoing tooth pain from his teeth growing in improperly. These tooth issues may have been caused by him not eating the kind of bark, bushes and other plants he would have eaten in the wild. As for why the bursts of rage came at night, it could have been that he was distracted during the day by all his fans, but left to dwell on the pain at night. There were other signs that Jumbo was stressed living in captivity, including that he would grind his tusks down against the bars of his cage. 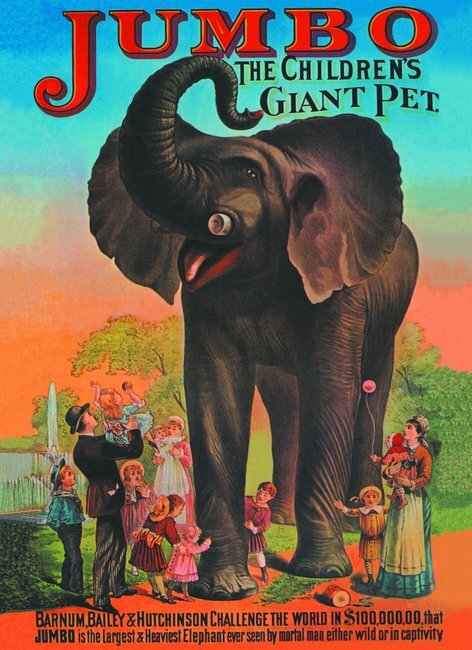 When the zoo could no longer cope with Jumbo&apos;s nighttime aggression, they sold him to a US circus owner, PT Barnum. This was despite a large public campaign from fans to convince the zoo to keep him. At the circus Jumbo&apos;s quality of life didn&apos;t improve. He continued to be plied with alcohol and his life consisted of performing for circus-goers, before being loaded into a cage on the circus train and travelling to the next destination. But on one night in Ontario, Canada in September 1885, Jumbo didn&apos;t make it on to the cart. The elephant, aged 24, was struck by a freight train while being loaded into his cage and later died of what Attenborough concluded was internal bleeding. Sadly, even in death Jumbo was treated poorly. The animal was stuffed and displayed, first in New York, then as a travelling attraction around the country for a few years. His skeleton, meanwhile, was donated to the American Museum of Natural History, where Attenborough and his team were granted access. We much prefer the story of a big-eared elephant who learns to fly. Dumbo is in cinemas now.